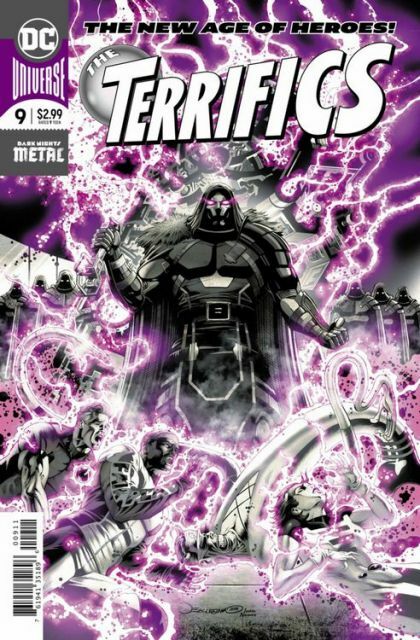 The Terrifics struggle to escape their respective plights while trying to save members of the Tom Strong family as chaos reigns across the Multiverse! But as Doc Dread's true identity is revealed, that unmasking hits especially close to home for Sapphire Stagg, who's in mortal danger after she learns the fateful secret. And she's not the only Terrific in trouble-just wait until the team finds what threat awaits them back at their Gotham City headquarters!